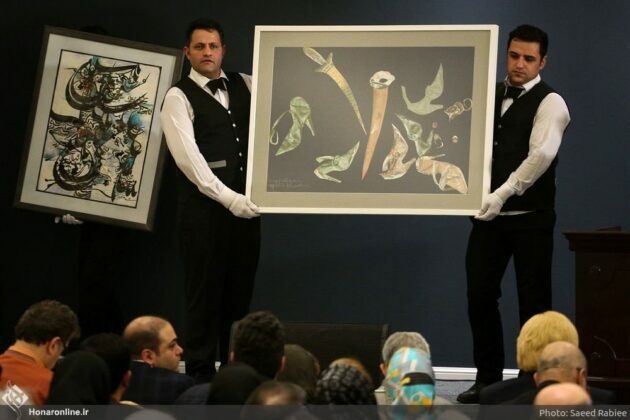 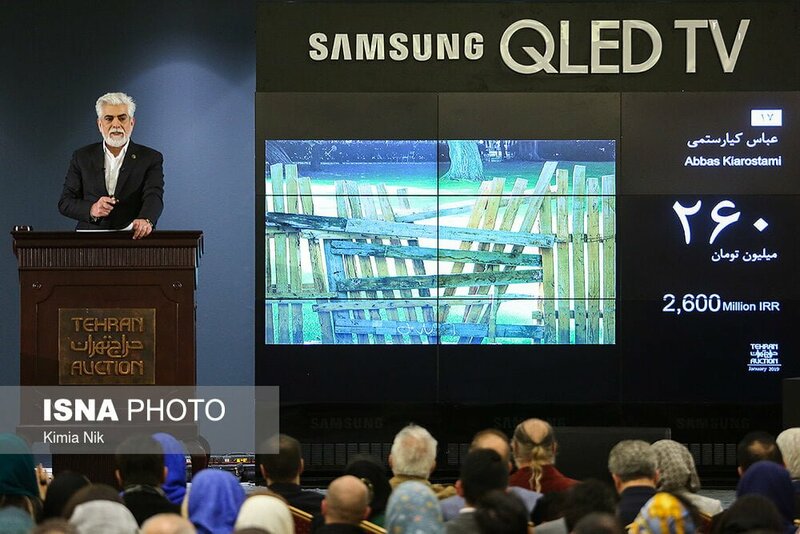 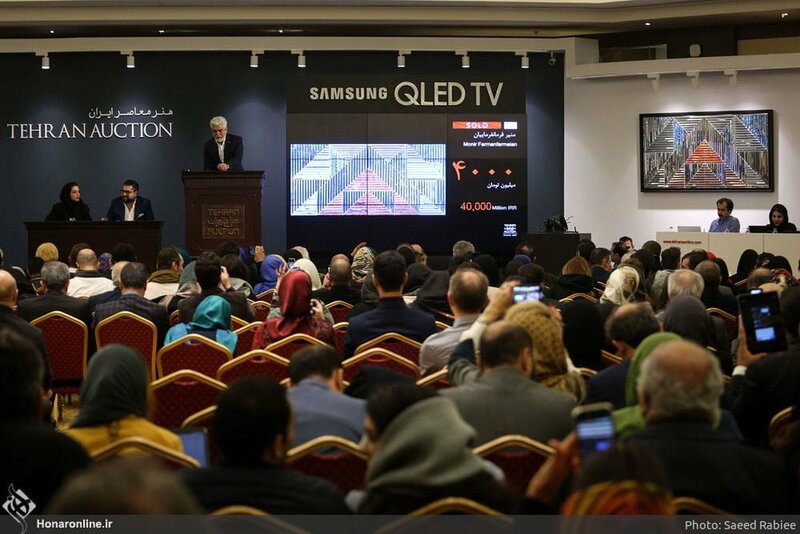 Items at an auction in the Iranian capital, Tehran, have sold for a record of over three million USD. 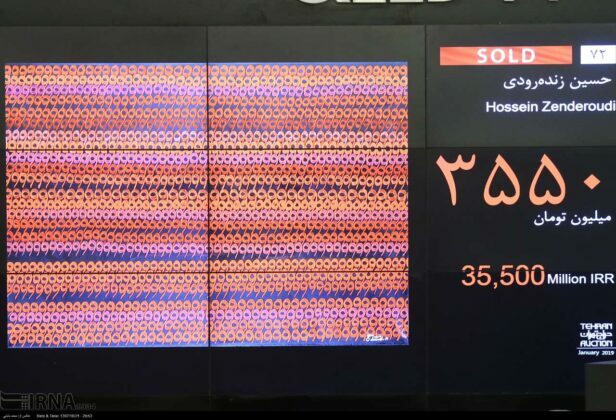 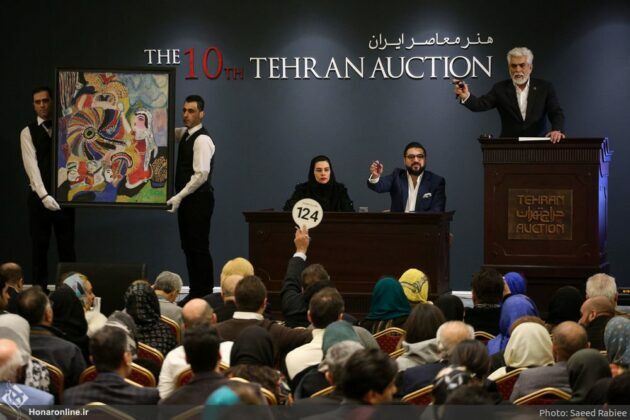 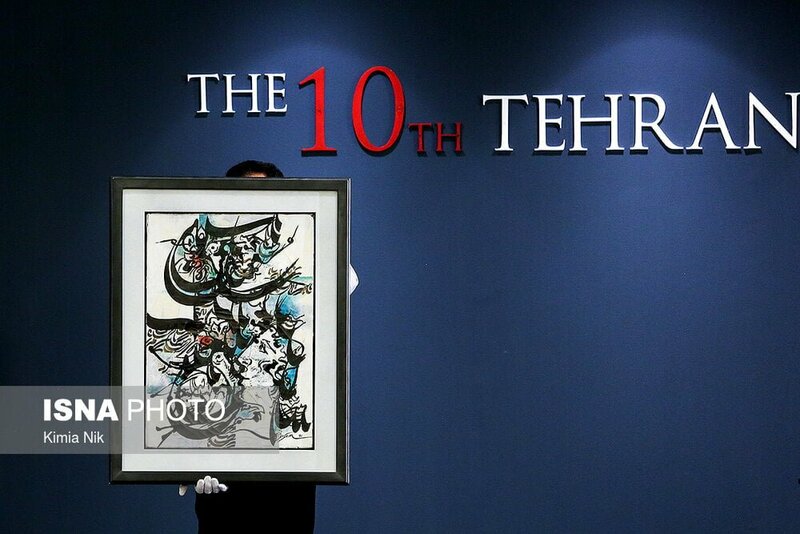 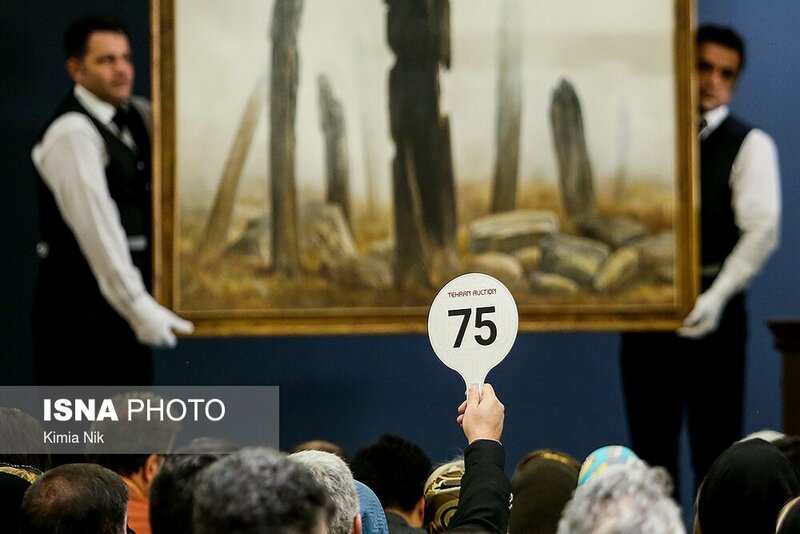 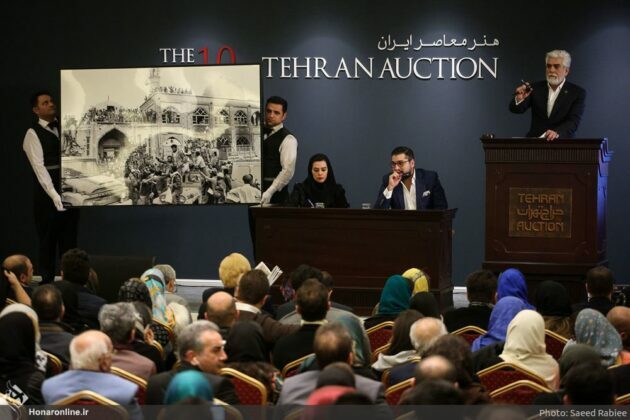 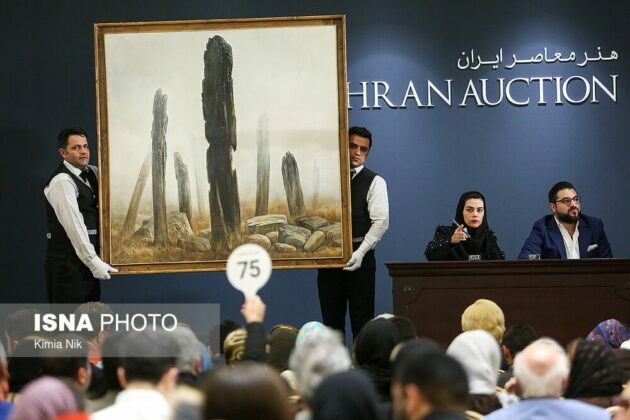 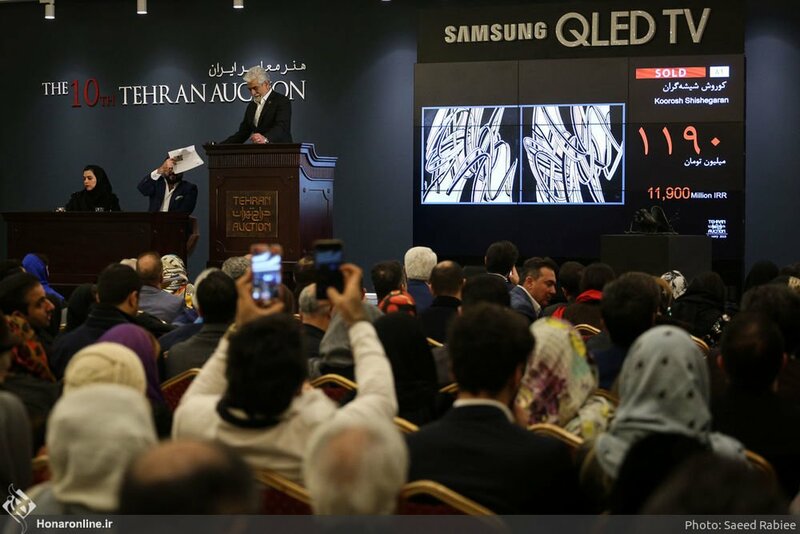 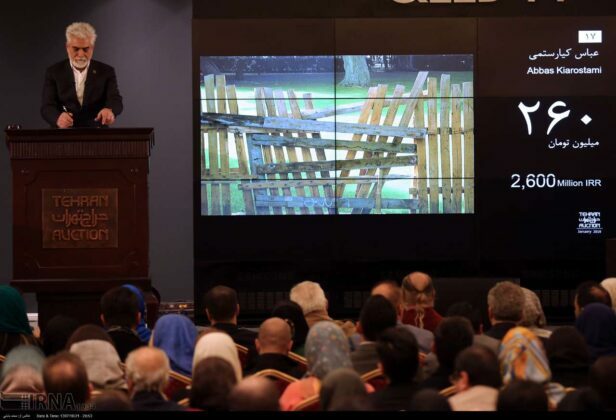 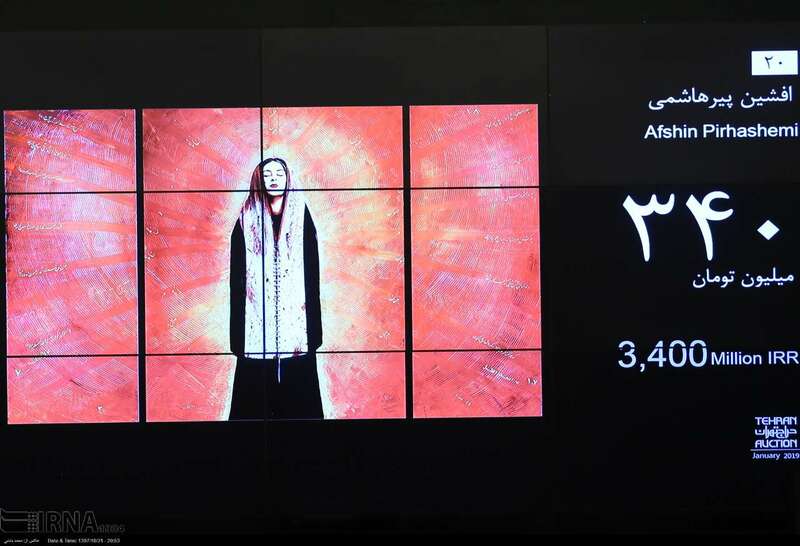 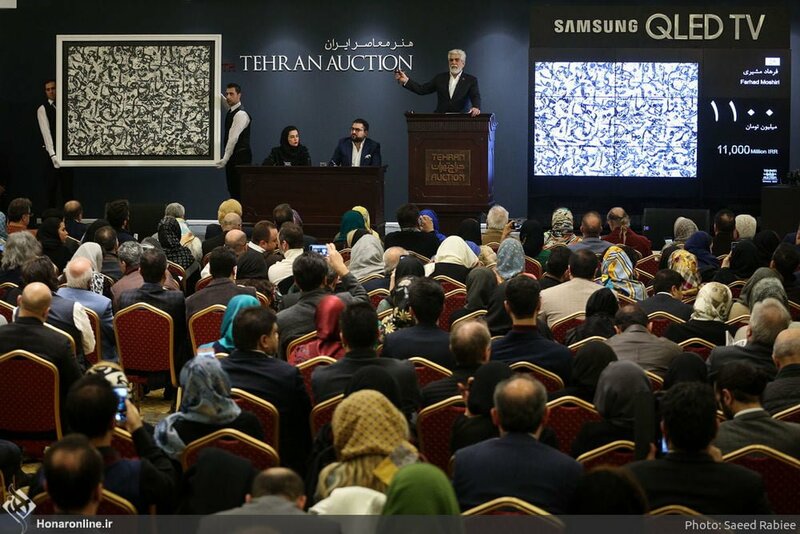 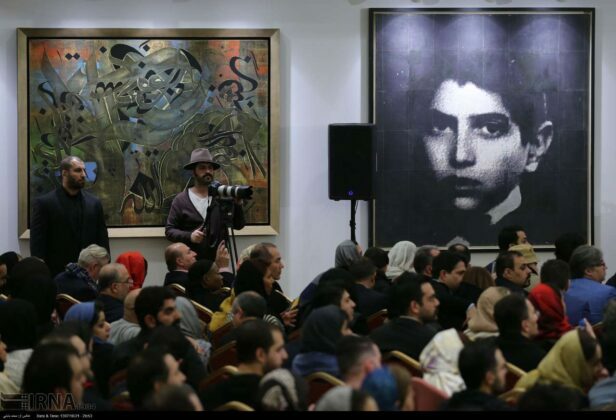 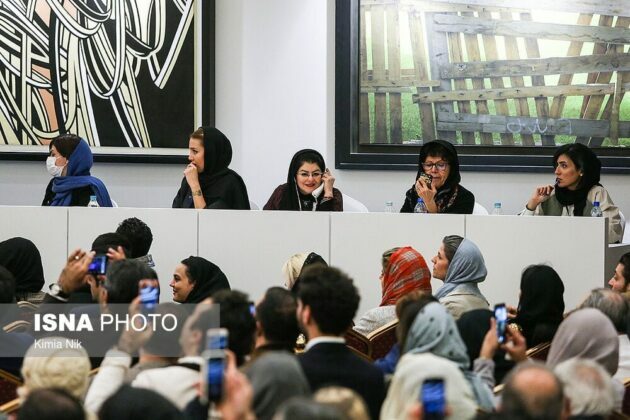 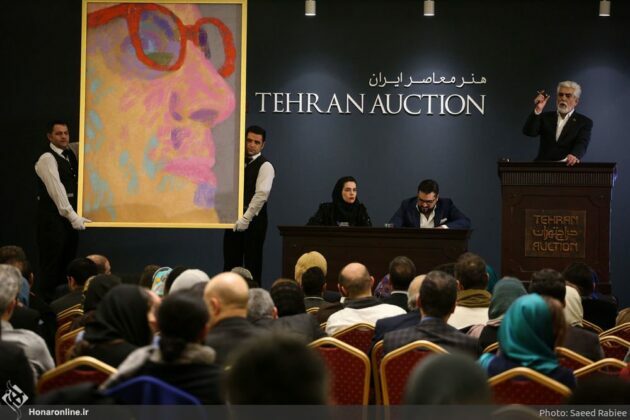 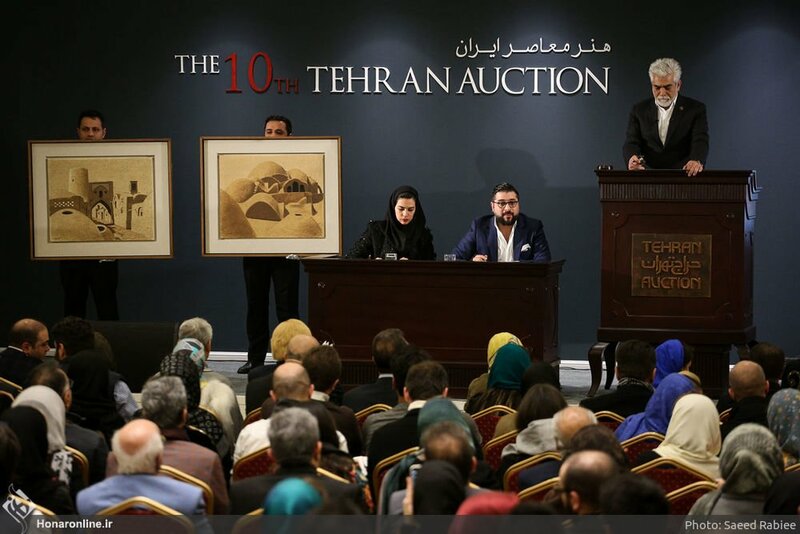 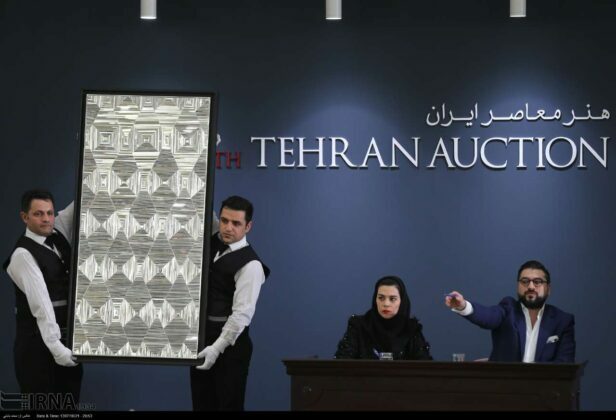 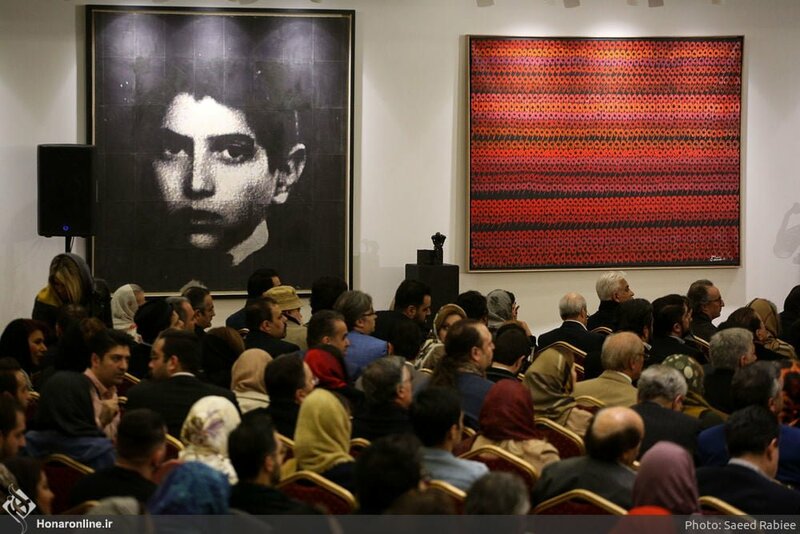 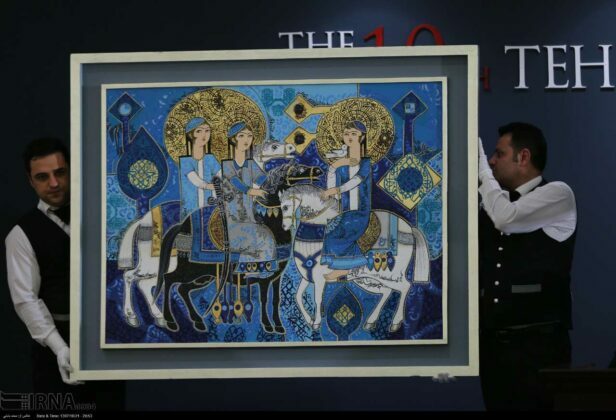 The sales at the tenth Tehran auction dedicated to the artworks of contemporary and modern artists fetched proceeds higher than those of all previous events, which shows the economy of arts in Iran is growing. 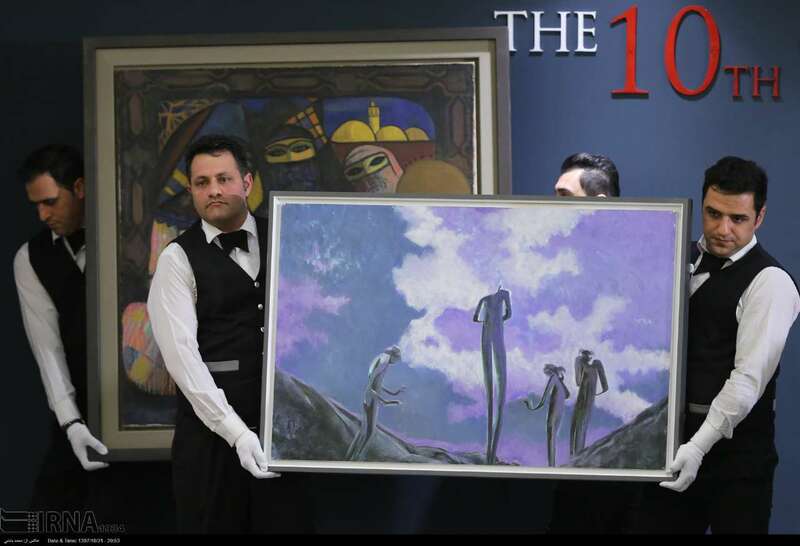 Some 113 works of art by 105 modern and contemporary artists went under the hammer at the auction. 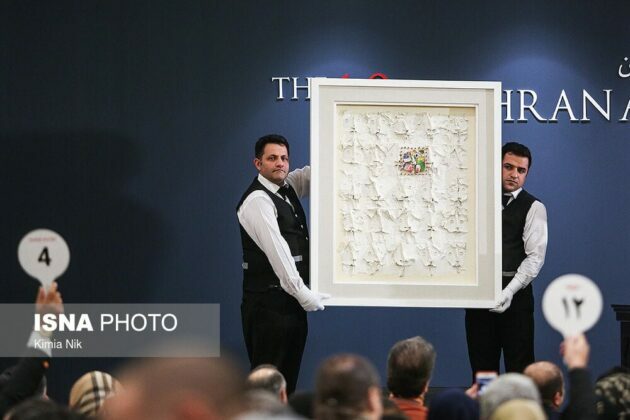 They sold for a record over three million USD. The figure was roughly up $300,000 compared to the previous auction. This comes as the highest financial turnover in the global economy of arts belongs to classic and modern works of arts. 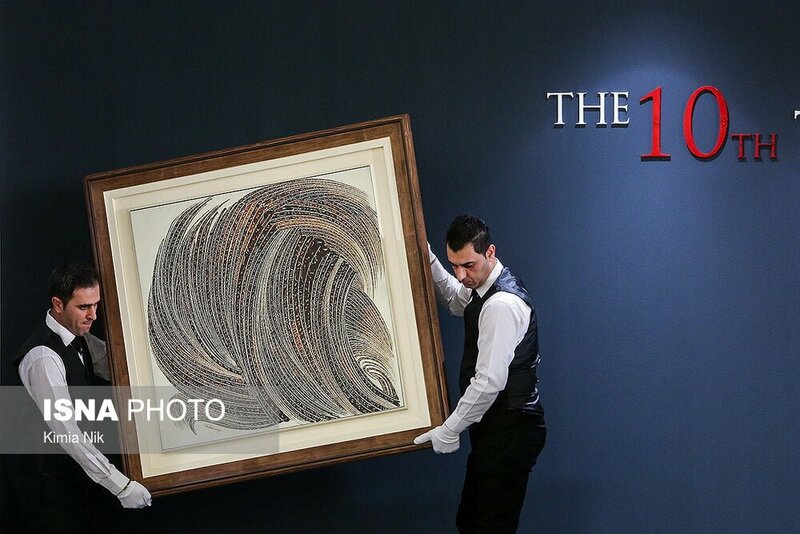 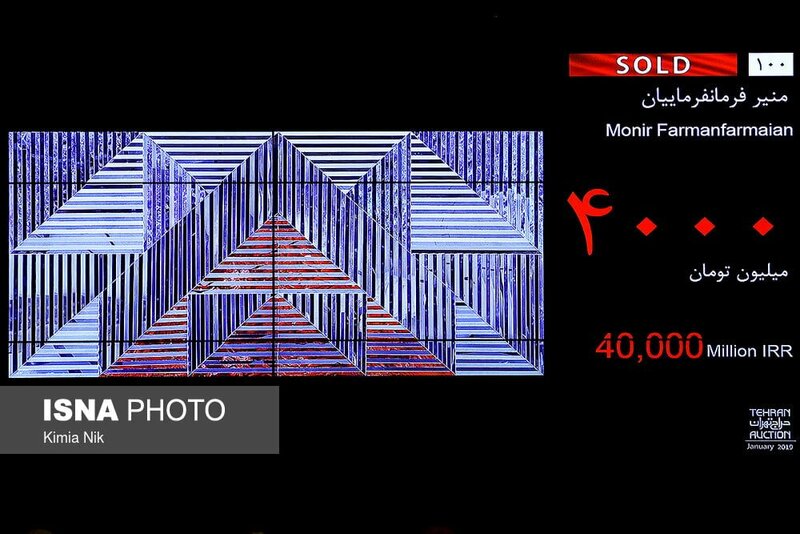 The artwork which fetched the highest price was one by Monir Farmanravayyan, which sold for about 36 thousand dollars. 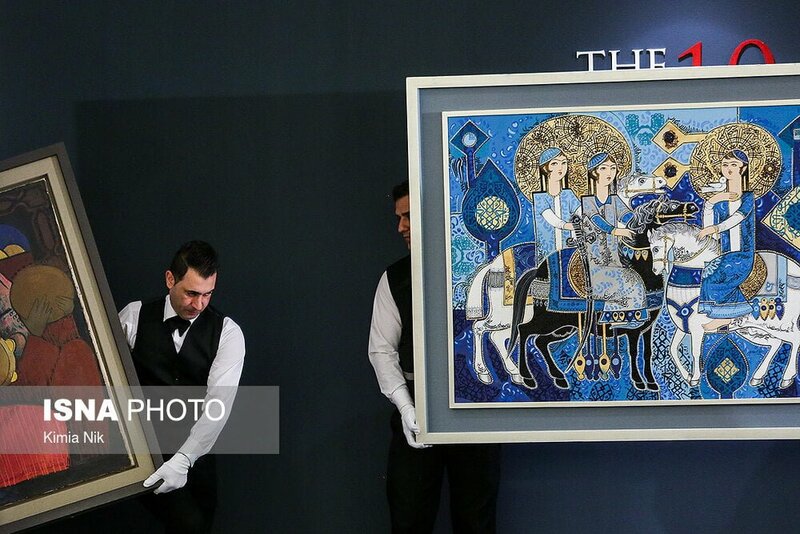 The second most expensive item was one by Hassan Zendehroodi. The highest bidder paid over $25,000 for it. And the so-called Birds statue by Bahman Mohases fetched over $24,000. 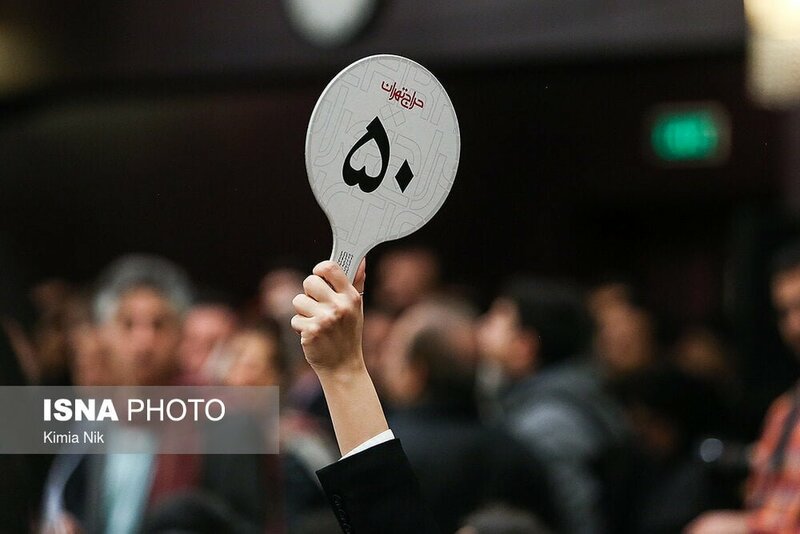 Here are the photos of the event retrieved from Honaronline News Agency.